Oden House has changed quite a bit since we last did a post on it. 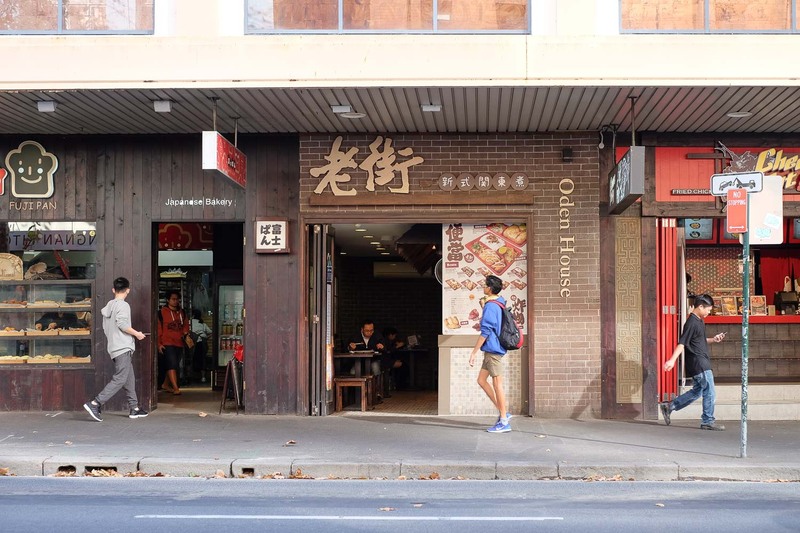 They've ditched oden from the menu but kept the name, now they focus on Taiwanese streetwise classics - bentos, soups, breakfast and of course a bit of fried chicken. It's a tiny restaurant with room for only a dozen or so bums on seats. They wisely offer a 10% discount at lunchtime to encourage more takeaway trade. Oden House kinda looks like a chain store but it has a warm family vibe to it, complete with auntie. Stewed chicken bento - $9.80. 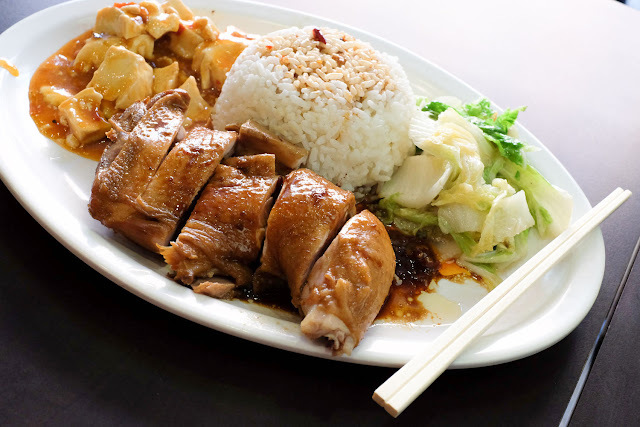 The only Taiwanese chicken drumstick in town that reminds us of the stuff we tried in those beloved economy rice joints in Taiwan. It's firmly but gently flavoured, and backed up very nicely with some surprisingly super yum Chinese cabbage, which we must figure out how to cook (gently stirfry with a little garlic and a smidgeon of sugar wethinks). And there's a bit of mapo tofu with the odd slight chili kick. This dish is one of Mr Shawn's all time favourites in Sydney. Slow cooked beef noodle - $9.50. 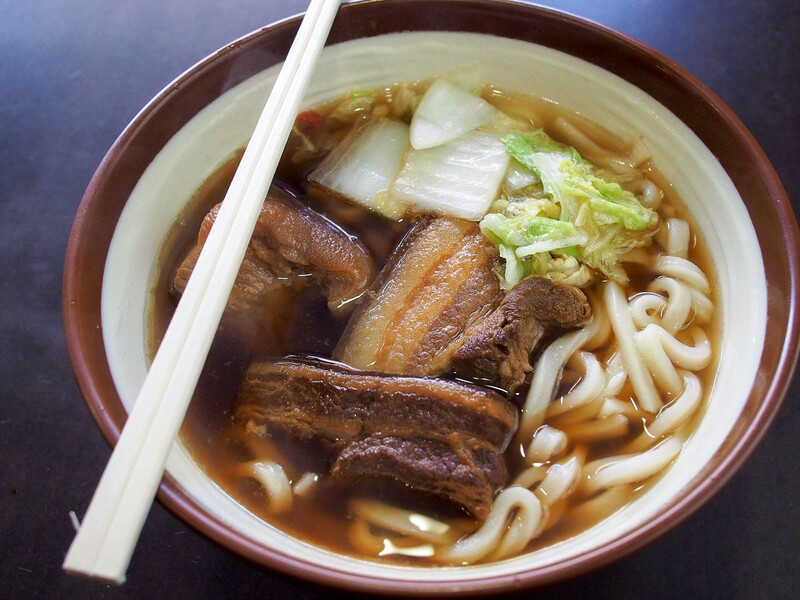 Taiwanese beef noodle soup is another of our all time favourite dishes. We love how it varies quite a bit from resto to resto. This version is rich and meaty with thick udon-esque noodles with little, if any, pickled veggie kick. Perfect on a winter day. Happy happy! Salt'n'pepper mushroom bento - $9.50. Nice hunky chunks of mushrooms battered and deep fried, with the usual sides. 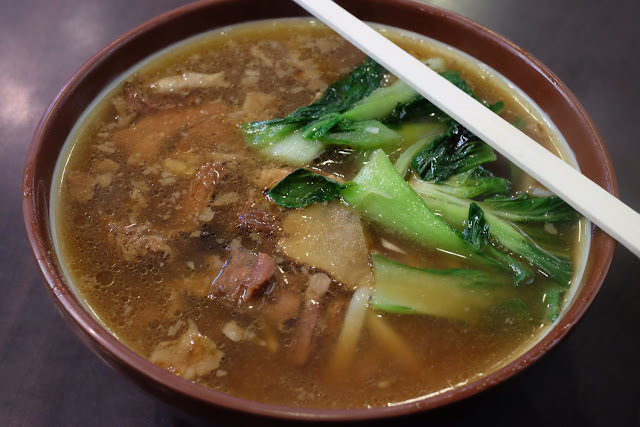 Braised pork noodle soup - $9.50. A few big chunks of fatty meaty pork belly made extra rich by braising in (we guess) soy. The cabbage tastes just as awesome in soup as it does in the bento. 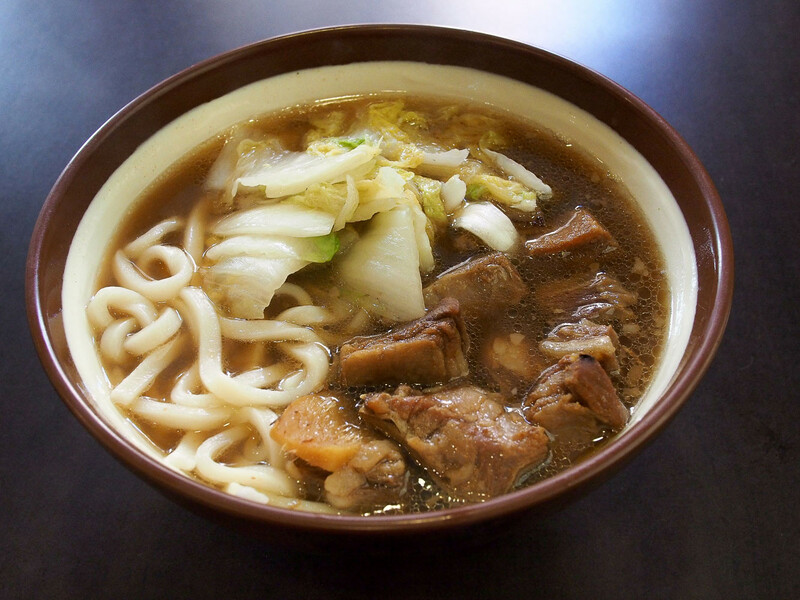 Slow cooked lamb noodle soup - $9.50. Tender fatty lamb ribs in a strong meaty lamb-y broth. Fried chicken wing bento - $9.80. 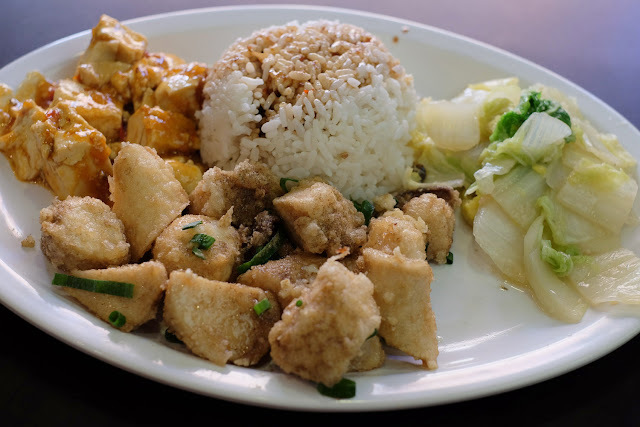 Taiwanese fried chicken is always good, there's always a bit of magic in the batter, if not a pinch of plum powder. Four wings and rice is surprisingly filling. A quick breakfast of congee with pork'n'egg, and a shallot pancake, with egg option. The shallot pancake is a crisp, oily and salty foil to the lovely plain dehydrating rice porridge. Highly recommended. Oden House is at 605-609 George Street, Sydney - actually on Goulburn Street, next to the corner of George and Goulburn Streets. I keep thinking this is a Japanese oden shop when I walk past. lol. Bento on a plate just takes all the fun out of them compartments but that beef noodle soup does look tasty. I doesn't feel like bento without the lacquer or bamboo box, does it? We saw oden all over Taiwan, its a popular street snack and good value. Hi Oden House has now moved. They are now located on Level 1 of the Sussex Centre, 401 Sussex Street in the food court. The food court has many more tables great air conditioning and free wifi. Oh wow - thanks for that - Oden House is one of my all time faves.